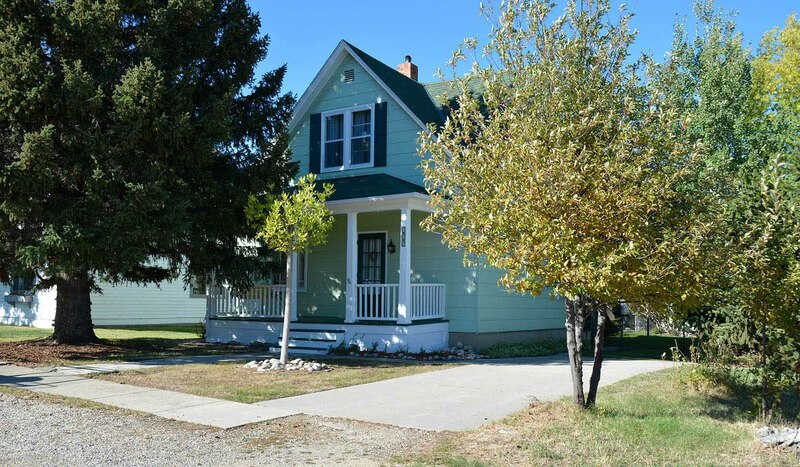 This cute little residential jewel sits in a quiet area of Red Lodge and offers a well appointed, cozy home with many vintage touches throughout the residence. The kitchen is a quaint little haven that will get your culinary creative juices flowing. Equipped with WiFi and other modern amenities this dog friendly home is a great place to breath in the local feel that our great little town has to offer. You can walk downtown, shop, eat, drink and enjoy. The two bedrooms are located upstairs. One of the bedrooms has a king bed and also a twin bunk. The other room has a queen-sized bed. There is a half bath upstairs and a full bath downstairs.